Sometimes, it's hard to explain exactly how you feel. This handy vocabulary wheel helps you narrow down the word that best expresses your current emotional state. Whether you're writing or talking about a character, another person or yourself, it can be easy to use the same words over and over. 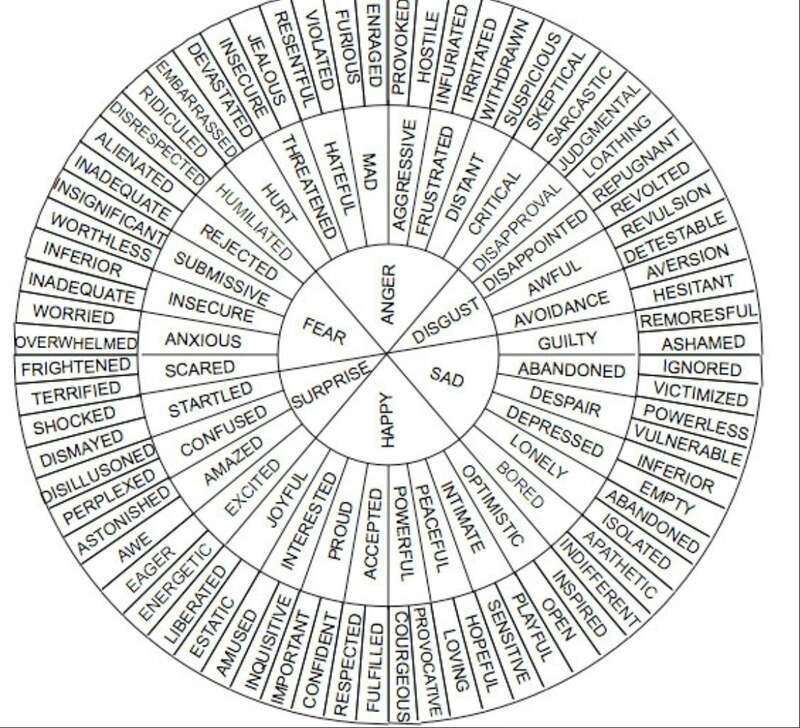 This wheel diagram from English teacher Kaitlin Robbs helps you find the right word for the right feeling from the inside out. Start out with a basic emotion and then move outwards until you have the best synonym for the job. The wheel itself isn't exactly groundbreaking in the world of vocabulary, but it's a nice reference for those that have a hard time being specific about how they or others feel. Sad, Glad (happy), Mad (angry), Fear and Shame! I don't see shame represented at all. Its the hardest emotion to admit or discuss. Most of us would rather feel any of the other emotions. Its easier to be angry at others when triggered about shame in ourselves. And confused is like from surprise. This wheel doesn't surprise me at all but it sure does confuse me.